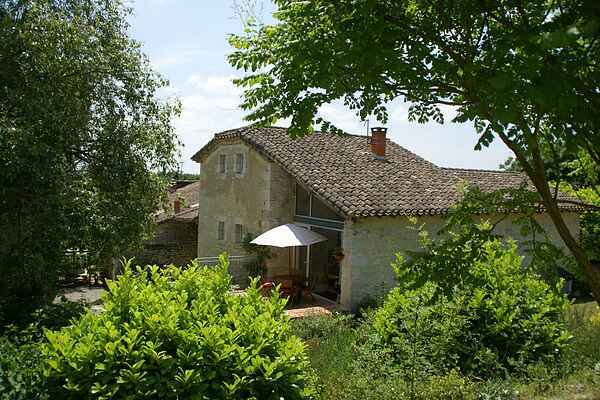 This charming, characterful cottage is situated in a peaceful area just outside the village of Avezan. The cottage sits within the large grounds of the friendly owner's house. However your privacy is assured as the owner's house is out of sight in another area. Your garden is the perfect place to relax, with inground swimming pool and jacuzzi and plenty of shade from surrounding trees. Explore the famous Gascogne wine region with its many vineyards and wine tasting opportunities. Discover the bastide towns, like Fleurance (14km) with its covered markets and galleries. Saint-Clar, one of the most picturesque bastides in the Gers region, with its own bathing lake. And of course, Montfort (12 km) and Sarrant (18 km) which are definitely worth visiting. In Lectoure (19 km) you'll find a large recreational lake (12 acres). Bike rental, swimming pool and golf course (9 holes) can be found in Fleurance. A bakery, market, post office, grocery store and restaurants are in nearby Saint-Clar (4 km). The three beautiful ancient cities of Auch (40 km), Agen (60 km) and Montauban (60 km) are within easy reach; an enjoyable day trip is assured. Agen also has a Walibi theme park .